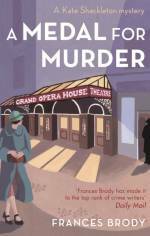 Deirdre Fitzpatrick is married to a man who wants to know where she really goes when supposedly taking care of her sick mother, and calls on the expertise of Kate Shackleton, amateur sleuth extraordinaire to investigate. Everett Runcie is a banker facing ruin and disgrace. His American heiress wife will no longer pay for his mistakes, or tolerate his infidelity, and is seeking a divorce. When a chambermaid enters Runcie's hotel room, she expects to be a witness to adultery. Instead, she finds herself staring at a dead body. Suddenly Kate is thrown into the depths of an altogether more sinister investigation. Can she uncover the truth of her most complex, and personal, case to date? 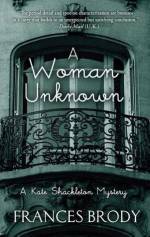 A Woman Unknown was shortlisted for the Mary Higgins Clark Award, an Edgar award of the Mystery Writers of America. 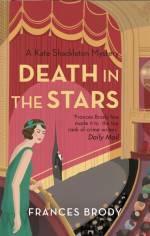 "Brody's fabulous fourth Kate Shackleton mystery... Such details as cloche hats, Yorkshire pudding, and 'grand country houses' provide period flavor, while more serious historical matters, such as cultural attitudes toward divorce and adultery, prove germane to the plot. Snappy dialogue and a cast of well-developed minor characters are a plus." 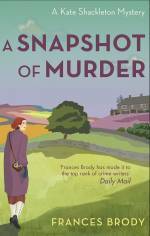 "Brody ... continues to show why she's one of the best at re-creating the atmosphere and language of classic golden-age British mysteries." "An involved plot with a lengthy cast list could be made wearisome by a lesser writer, but Frances Brody has that indefinable talent of the born storyteller who knows just how much it takes to hold the reader's attention." 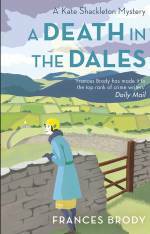 "The period detail and spot-on characterisation are bonuses in a story that builds to an unexpected but satisfying finale." or from Barnes & Noble. A large print edition is available from the publisher, Thorndike Press (published November 2015, ISBN: 978-1-4104-8099-6). A Woman Unknown was first published in hardback by Piatkus on 6th September 2012 (ISBN: 978-0-7499-5492-5), and the paperback followed on March 1st 2013 (ISBN: 978-0-7499-5497-0). 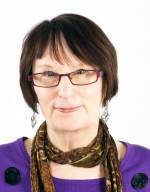 See the publishers' website for details; it is also available in ebook and audio formats. or use the ISBN to order it from any bookshop or library. 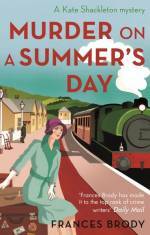 "Brody has a lovely talent for giving enough period detail ... savvy and interconnected plotting ... you will take great pleasure in slipping back in time to an era of change and fine motor cars and finding out more about this very intelligent female sleuth." "I stayed up late to finish this book ... a delightful read [and] a perfect mystery for a gloomy and rainy Sunday"
"During that subgenre [the 'classic British whodunit']'s golden age, three writers led the way: Agatha Christie with devilishly clever plots, Ngaio Marsh with silky prose and Dorothy L. Sayers with issues of morality. 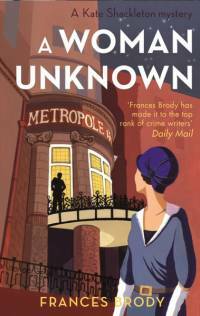 Brody blends the best of that revered trio in her work, and A Woman Unknown shines as a stellar example of her talent." "It's a great series and this is another strong entry." "Kate is a great character, modern for her time, running her own business and driving around in her 1913 Jowett. She is a well written character with a lot of depth... There is a lot to still discover, and I don't doubt that this will be a series that will continue on for quite some time." 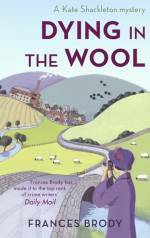 "Whilst Frances Brody has weaved an intriguing set of events for the reader to unravel, much of the pleasure in the book is in the period in which it is set, and which the author portrays brilliantly. The story also highlights the difficulty of the divorce laws of the time... A marvellous instalment in this excellent series, this book is highly recommended." 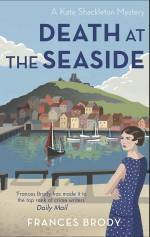 "The plot is neat, elegantly constructed and with the sort of twists which mean that you'll go back and read it again... The writing is a real pleasure to read and it's supported by a real knowledge of the times - how people acted, how they got around things and how they made life work. There's a sense too of an author who knows far more than she's telling about the time and the place." 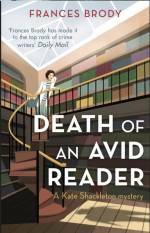 "It is rare to find an author that brings characters so much to life that they become like real friends, but Frances Brody ... is certainly such one. 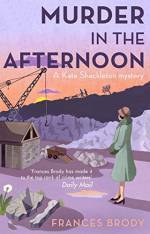 "Her Kate Shackleton books are so entertaining, well constructed, and well written that when finished the reader feels bereft.."